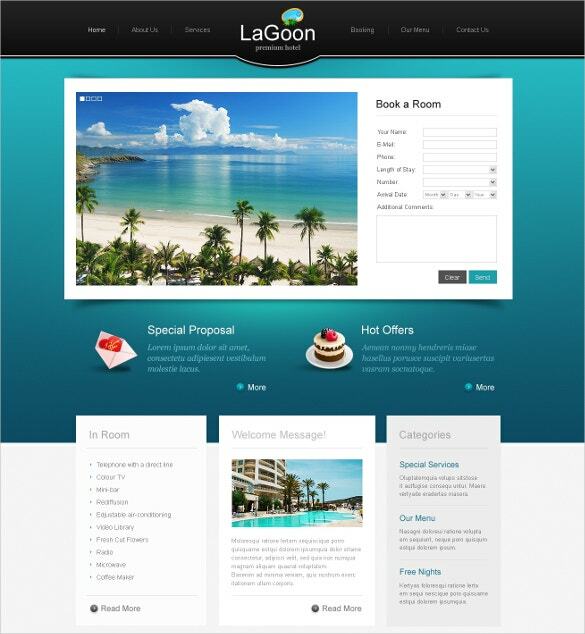 Want to design an amazing website quickly? 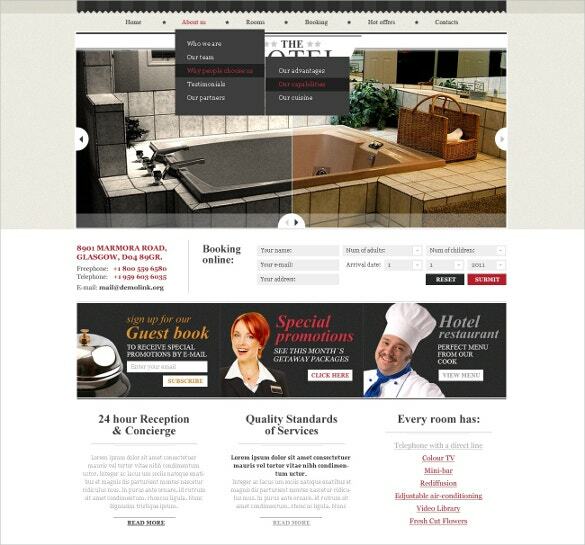 Our hotel PSD themes and templates are a perfect choice for creating amazing websites at very affordable cost. 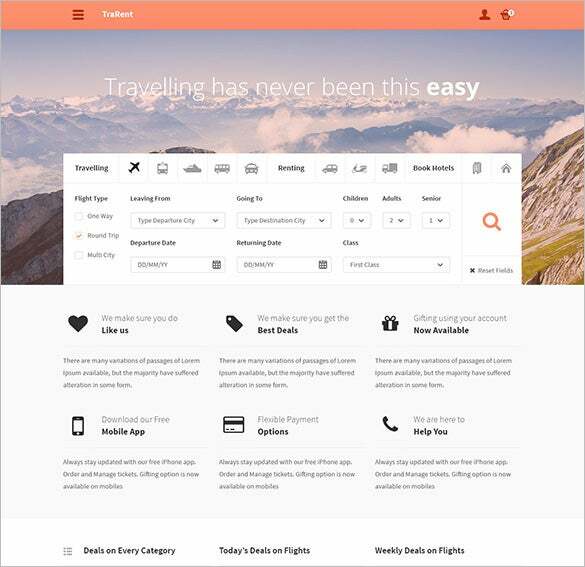 These templates have various homepage layout options, colors picked to fit each theme quite well, lots of plugins and add-ons. You can customize these to pick any of your favorite colors, blog pages, layout styles etc. 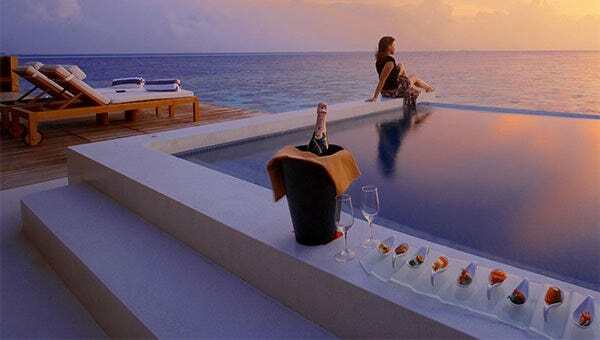 These themes are pixel perfect and based on 1170px grid system. 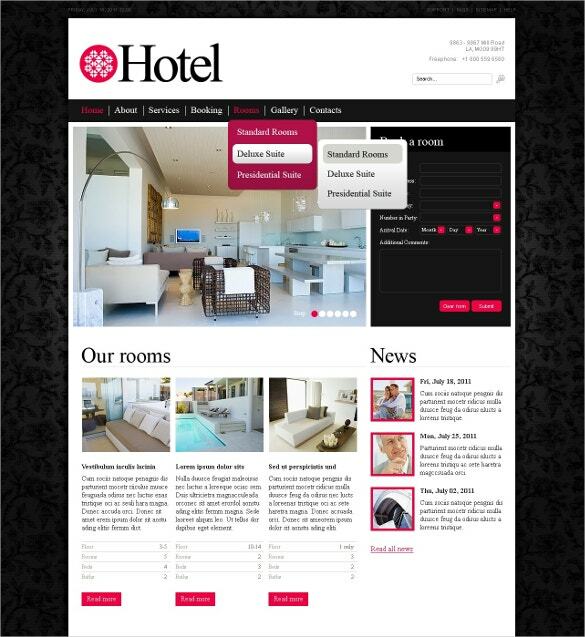 You can also see Hotel HTML5 Themes. 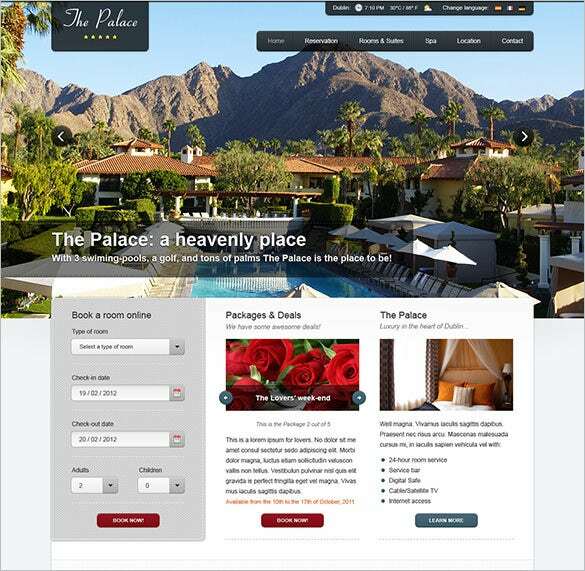 If you are looking for easy to customize, flexible and multipurpose theme for your website, try The Palace Hotel PSD Theme. 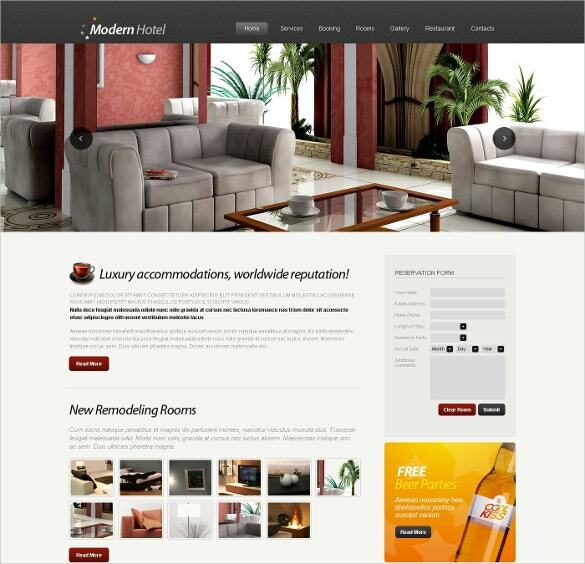 It has the advanced HTML short codes making a fully responsive layout for an attractive website. 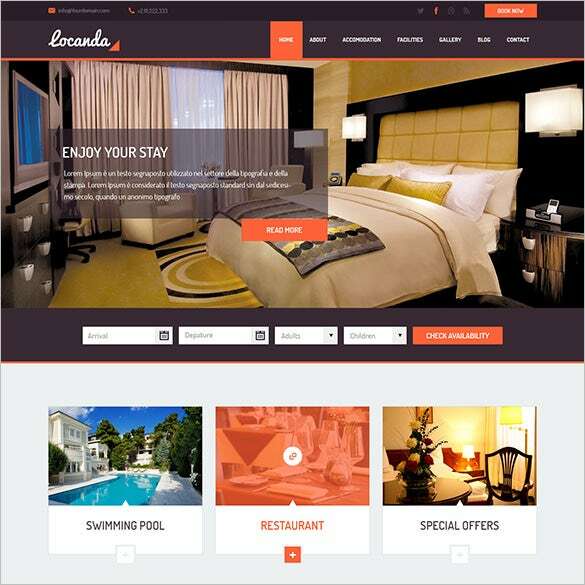 With fully layered, organized PSD files, multiple colour schemes, lots of plug-in and add-ons, advanced drop down menu and plethora of display ready, Locanda Hotel PSD Theme helps to create a smart and interactive website. 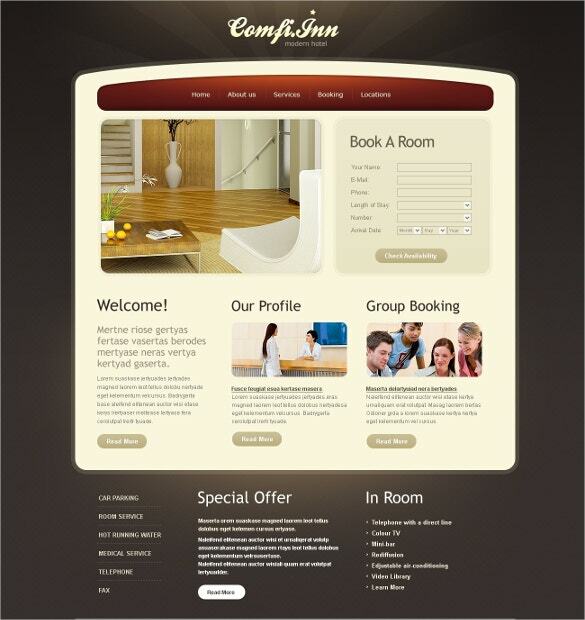 Planning to create an interesting website? 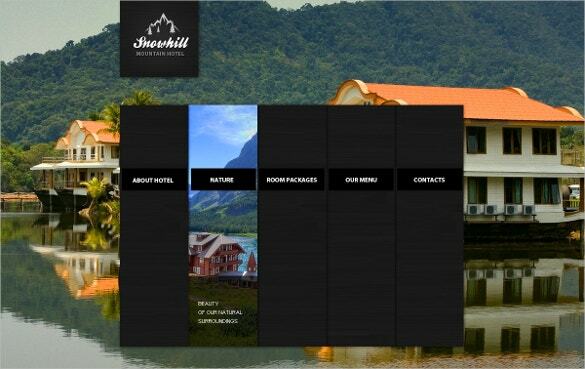 Use the Hotel & Resort PSD Template which has multiple colour variants with different layouts, tons of advanced shortcodes, bootstrap based design and much more. 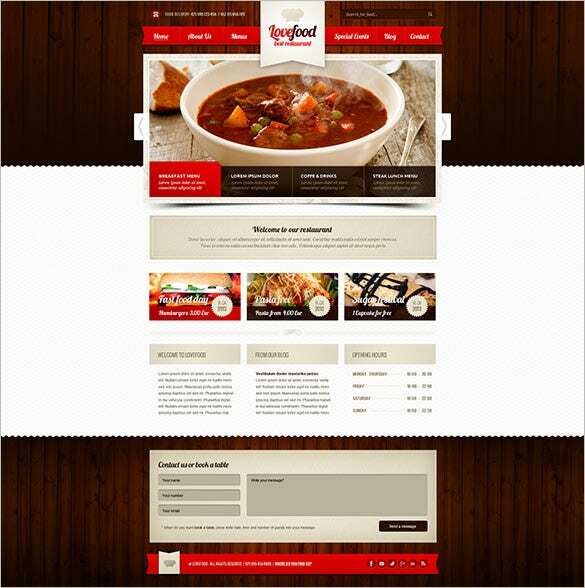 For a 100% responsive and mobile friendly website, use the Lovefood, Cottage & Accommodation PSD Theme which has multiple homepage variations. 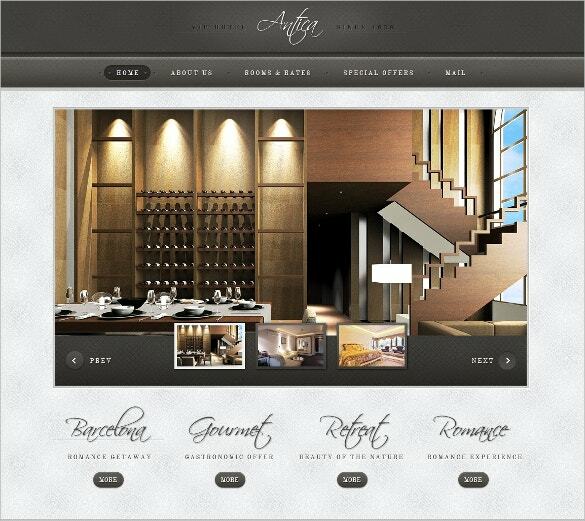 Sliders, headers, dropdown menus, category creation – all come aplenty with this theme. 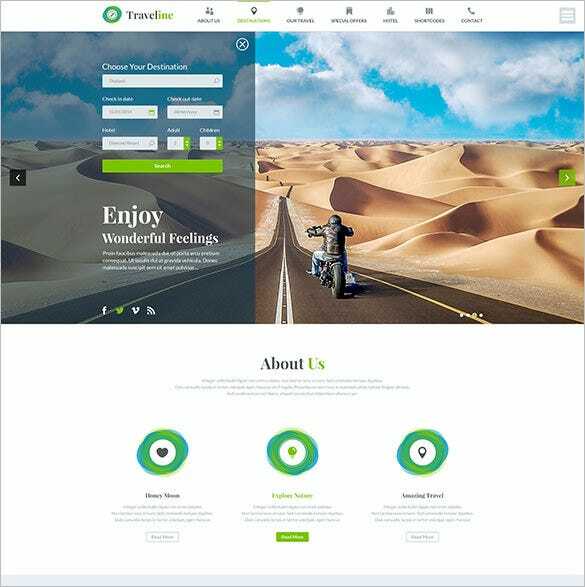 Creating an amazing website is simple with Traveline & Hotels Booking PSD Template which offers various homepage layout options, customisable add on, plug-ins, pixel perfect HD images and background variations, smart shortcodes, HTML functioning etc. 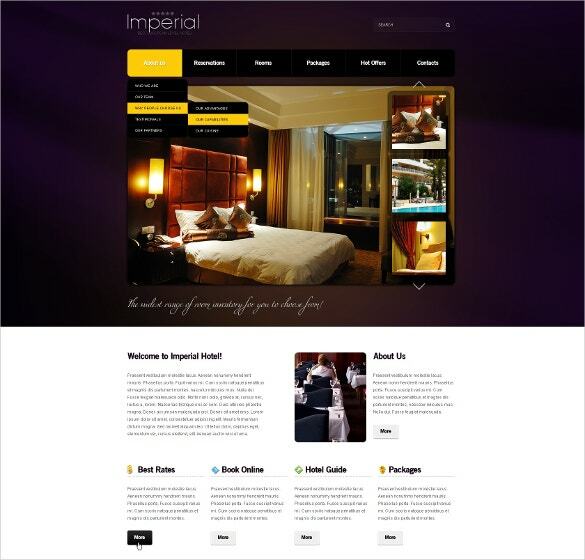 Create a website not only for PCs but optimized for mobile devices with Travelling, Renting, & Hotel Booking PSD Theme. Easy to install and customize integrated features along with plethora of layout colours, fonts and images makes it a favourite among designers. 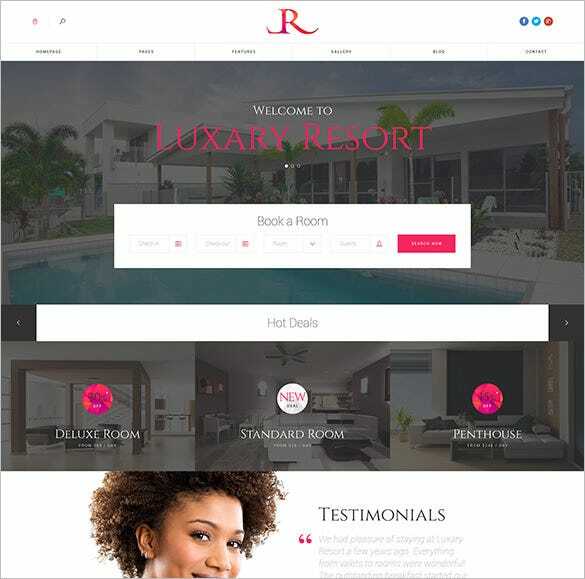 They are easy to customize, flexible, multipurpose and include fully layered, organized PSD files.Our premium quality templates also include mega menu, typography elements, Google maps integration, contact us block, social media integration and extended documentation etc. So download them now!